Samples of Items in our Members Area – Rare Fruit Society of South Australia Inc.
Of all the Avocado varieties available to home gardeners in South Australia, Hass is without doubt, the most widely grown. Its popularity is due to its superior taste and excellent keeping qualities, and to its tolerance of our climate. The medium sized, pear-shaped fruit is instantly recognisable by its wrinkly skin and deep green colour, which turns almost black on ripening. It is classed as an “A” type for pollination purposes, and in home orchards is mostly partnered by the Bacon or Reed varieties, often multi-grafted onto one tree. But in our climate, the pollination norms don’t seem to apply as elsewhere, and there are many instances of single variety trees producing adequate crops. Kunzea pomifera is a low growing shrub in the Myrtaceae family, native to the southern areas of Australia, where it thrives in well drained sandy soils overlying sheet limestone. 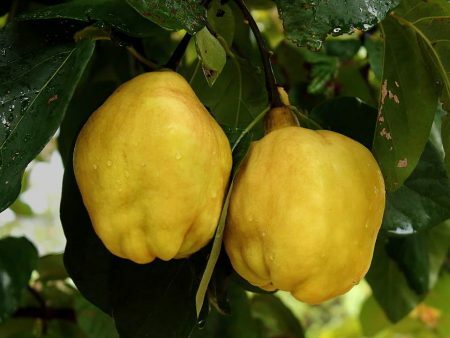 It grows in thickets about ankle deep with small attractive white flowers followed by pea sized green fruit with a slightly furry skin, and a taste resembling apple. Although its range is mainly coastal, it will extend many kilometres inland where conditions are suitable, and it grows particularly well in the South-East of South Australia. The fruit is used for making jam, chutney, pies, fruit leathers, desserts and savoury sauces. It can also be used to substitute apples or sultanas, while fruit extracts have been used in cosmetic products. The species has become an integral part of the Australian bush foods industry and is being grown commercially, under cultivation regimes that include trellising for more efficient use of orchard space. It just doesn’t figure that the dependable fig tree, the fruit tree most valued by our pioneering forefathers, has become to this generation, the forgotten fig. Once esteemed and cherished, it has now become a fruit of inconvenience. A whole generation of kids are growing up without ever tasting a fresh fig, or even knowing what they look like. Last century fig connoisseurs would gather together, to discuss and vote on the delicate differences between their many varieties. In some parts of Europe the science of growing the fig to perfection had become an art worth bragging about. So what happened between then and now to lower the figs status, from up there rivaling ‘the apple’, to so low that our kids have never seen one. Has the fig changed so much ? Or have we changed so much ? Why is it so rare to find fresh figs at the fruit & veg stall or in the supermarket ? And if you do find them, they are nothing to rave about anyway. Are they so hard to grow ? No, I can’t think of any fruit tree that is less demanding or so easy to grow. So what has happened? The answer in a nut shell is, we have become creatures of convenience rather then pursuers of quality. The emphasis has shifted from “what is best for the consumer” to “what is the best for the supplier.” This ideal back yard tree is not an ideal commercial orchard tree. The fig may hold its place in history, but it can’t hold its place on the shelf. The fig may ripen to perfection on the tree, but they won’t hold perfection on the shelf There are lots of things the growers don’t like about figs, and some things the supermarkets don’t like about them, but as a back yard tree they out perform all else. Across Australia the fig tree collections are being destroyed. The Agricultural Research Stations are no longer studying the potential of the fig. The humble fig has been sentenced to commercial doom. This is despite the fact that it is better suited to SA and WA growing conditions than almost any other fruit tree. Its potential is right up there with the olive and the quandong. Before the Loxton collection was destroyed, we were able to acquire cuttings of each of their 18 varieties. These have been distributed amongst interested members. Several members taking full collections. Since this initial collection we have collected further material from around Australia. We have new varieties from Perth WA., Gosford NSW., Darwin NT., Alice Springs NT., and Mt. Gambier SA. Our collection now stands at around 40 varieties. Making it by far Australia’s largest gene-pool. it is important that we keep track of as many of these cultivars as possible, for many were on the verge of being lost completely-and many others would have become untraceable. As we can sort out and grow-on these new varieties we hope to make them available to the members. Who knows, maybe the day will come when Adelaide will become the FIG CONNOISSEUR CAPITAL of the WORLD, and our members will hold Fig tasting Soirees-make pleasant chatter about their latest delicacies, and boasting of their figurative expertise. Only time will tell if this is just a figment of my exasperation! What is happening behind-the-scenes in the Rare Fruit Society? As a society we encourage the propagation and preservation of rare at and unusual plants, probably each and everyone is doing this in some way, but what is the society achieving as a whole organisation? Seed merchants and nurseries are steering away from open pollinated plants and the older varieties which haven’t a plant patent. It is up to groups like the Rare Fruit Society to preserve these plants for their wider attributes than just marketability. In recent years we have rescued plants from destruction – Research programs are dollar dependent so if something does not generate the money needed it is axed, the Loxton fig collection was one such example. Our society rescued most of these fig varieties before the bulldozers moved in. In the past few years apple and pear varieties have been collected with much of this bud-wood being made available during our July grafting sessions. As part of this preservation project for heritage apple varieties in South Australia we have been photographing the apple varieties and endeavouring to eventually have descriptions of all these apples and also pears. Initially this doesn’t sound like a huge task until you realise that we already have approximately 200 varieties of apples and 30 plus varieties of pears. We are just starting to embark on a plum and apricot collection. We record our grateful thanks to Wicks Nurseries for major assistance in this project. In an effort to consolidate these collections we encourage everyone in the society to record names of varieties in their own collection. A number of the present and past committee members have started this task and tended to be surprised when we actually write down what we have. Besides recording the collections of heritage species this is part of an “insurance policy” to have multiple copies of each variety in different locations. 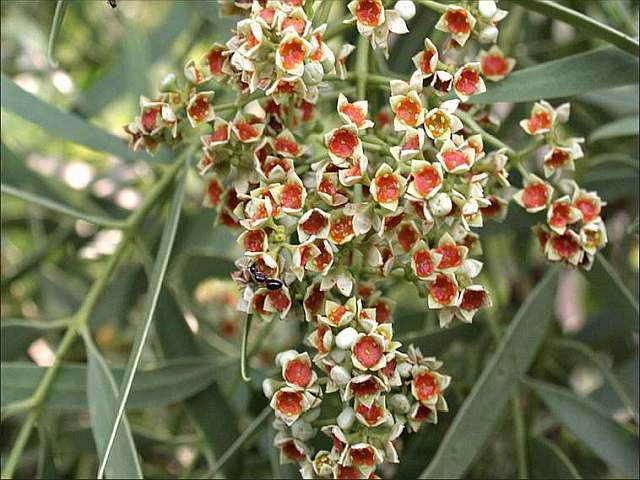 The other aim and high priority is to be able to create a record of which subtropicals can be grown the various climate regions around South Australia. For example citrus trees are subtropical and most regions people can grow at least some varieties. 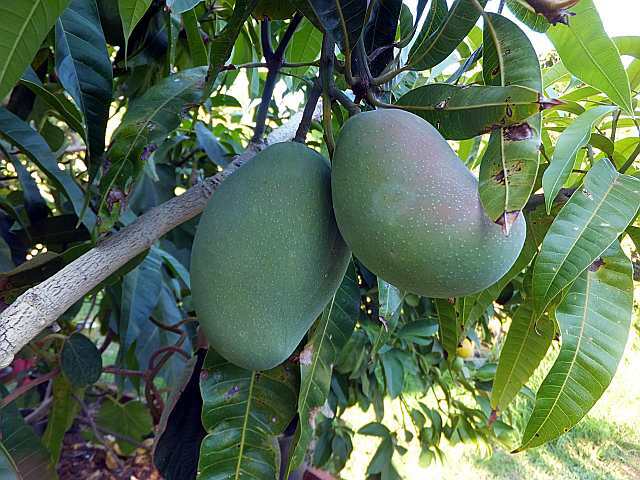 Mangoes can be subtropical, who has a mango in the ground and fruiting? The creation and compiling of this information is going to take some time however, and we need to be mindful of members privacy and security. Members could use this information to great advantage, we need not “reinvent the wheel” but learn from each other as to what fruit may flourish where. We can still experiment with different varieties and methods of cultivation to extend our range of fruit. Watch out for more information on the climatic databank. Epicurean horticulturists, we may possibly have a deeper role in this trans national corporate world. John Rance clarified my vague unease about commercial fruit when he mentioned that taste entered a list of desirable characteristics at about number ten. It makes sense to the money makers to select fruit which has a terrific appearance with plenty of size, gloss and this years colour and also matures all at once for efficient picking and has a prodigious shelf life so profits are not threatened by wilting, shrivelling rotting stock. Transport is the other big area of worry, fruit must be very robust to survive picking, sorting, packing, loading and unloading and setting out for display. This article will not stray into the discussion over the spraying of fruit even though I would like to explore the number of sprays applied against cosmetic blemish pests. The customer is thus presented with a very attractive display of large glossy colourful fruit. The customer hands over the purchase price and the financially rewarding process is confirmed. Don’t blame the growers and the corporations and the breeders when it is the customer who selects and thus drives the process. Is this a fair summary of the situation? Does the customer actually have choice? Where do you go to find fruit where flavour and scent are paramount? Rare fruit growers who battle climate and pests may have the pleasure of picking direct from the tree and tasting a naturally ripe, aromatic and richly flavoured naturally ripe, aromatic and richly flavoured fruit, hopefully with long and staggered periods of maturity so we can pick our harvest off the tree over days and weeks. Provided of course that we planted a variety which expresses all these characteristics. Where do such varieties come from? If the breeders are rewarded by commercial imperatives and nurseries propagate mainly commercial varieties, where do we get varieties which have flavour first and maybe staggered maturity as well? Heritage Varieties – Our society has done well in preserving heritage varieties which have characteristics more in keeping with our aims. Even here there are more questions than answers. Were these old varieties grown for pest resistance in the time before chemical pesticides? Were they chosen for long life storage in the times before controlled atmosphere? Were they selected for a specific purpose such a pie or jam making or for drying? Maybe they were the forerunners of the big glossy fruit, good to sell to townies at the local fruit market. If you have an enthusiasm for fruit archivist work then you efforts are much appreciated but at present we do not have a clearly defined method of dissemination of such records. We have reached area the essential first stage of saving and conserving varieties unwanted commercially. Where do we go from here? Who has what? Who wants to know more about their heritage varieties? Who is prepared to find out and record the information? Seed saver organisations are facing similar problems and are developing formats for members to record and share information, perhaps our society should lease with them to avoid reinventing the wheel. Our field trip to Loxton allowed us to see the reality of a commercial breeding program. Jenny Witherspoon, as guest speaker, had guided us theoretically around the world in her search for desirable drying apricot traits and explained the breeding program. She then guided us through the reality of the trial orchards. We were very grateful to make some of our own selections from the new varieties produced, using our own criteria of desirability. The stumps of felled trees which had already failed to show any desirable features reminded us what a big effort this breeding and selection procedure entails. Grow a thousand trees knowing that over 99% will probably fail to meet the combination of characters required. Our society does not have the resources to mount the huge commercial breeding campaigns but we can make use of the free production of new fruit varieties which occurs in a chaotic and random way all around us, the ongoing procession of new varieties which are seedling trees. 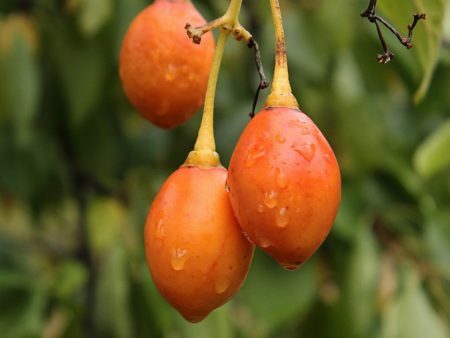 Think of the figs, the peaches, the apricots, the loquats and above all the olives which sprout and survive in wilder parts of gardens and blocks of land. A phrase like “It just came up by itself but it tastes really nice”, could be a trigger for action, graft it on, give it a name, test it out and maybe share it around. Some members of the society, notably John Rance, are well down the track in seeking out and propagating these valuable seedling selections. How about you? Will this article just fill space and be one member’s little philosophical rave? Can we use this newsletter or our website or some other means of recording and sharing our new discoveries and old heritage stock? Your committee will be very happy to record your information. Our strength is as a group with diverse enthusiasms but together we can amass a very substantial collection of gourmet fruit to add quality of experience to our world.